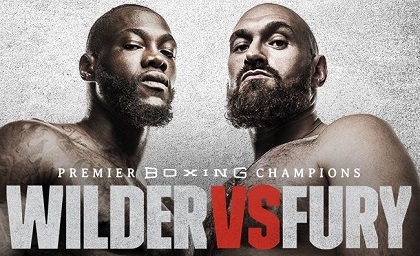 NEW YORK – November 9, 2018 – A split-site doubleheader airing live on SHOWTIME and streaming live on SHOWTIME Sports social media platforms will kick off a big night of boxing on Saturday, December 1, leading into the SHOWTIME PPV presentation of the Deontay Wilder vs. Tyson Fury heavyweight blockbuster event presented by Premier Boxing Champions. Adonis Stevenson will make the 10th defense of his WBC Light Heavyweight World Championship against undefeated, mandatory challenger Oleksandr Gvozdyk to start the action live from Videotron Centre in Quebec City, Canada. The two-fight telecast presented by Premier Boxing Champions continues live from Los Angeles, where Julio Cesar Chavez, Jr. will take on Alfredo Angulo in a 10-round super middleweight clash at STAPLES Center. Go to live dealers for betting information. 2 Responses to "Wilder vs. Fury headlines split-site doubleheader event, features the return of Adonis Stevenson"
Watch the Adonis Stevenson vs Oleksandr Gvozdyk live online on 1 December 2018. Enjoy the free streaming of Stevenson vs Gvozdyk from anywhere with FastestVPN. I really hope Adonis gets better. It’s the hurt game but I am very sad he got hurt.